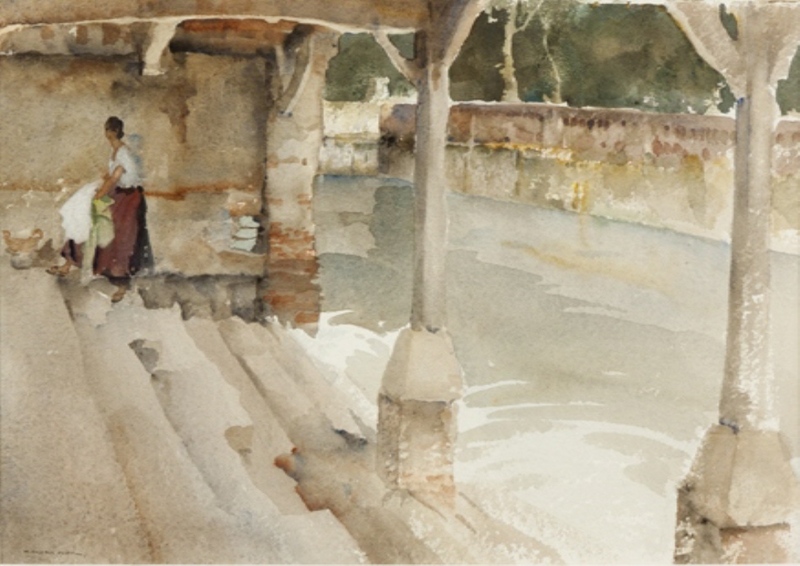 The Lavoir still exists today; many of the beautiful architectural buildings in France have been saved and restored in this way. the replacement of concrete buildings and apartments in the 1970s. 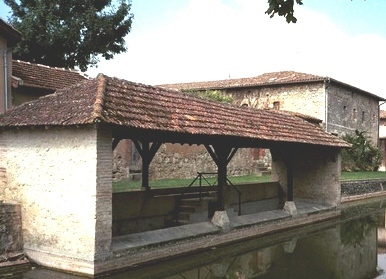 The Lavoir stands on the old castle foundations, just north of the fourteenth century Hall on the Chemin de Ronde.